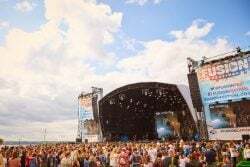 With the summer months now in full swing, thousands of festivalgoers will be flocking to the biggest and liveliest music festivals across England. 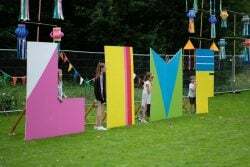 From LIMF taking over Sefton Park to the star-studded Fusion Festival, Liverpool is in reach of some of the best festivals you could possibly experience this summer. How Can Minibus Travel Benefit You? The alternative option to a minibus is the stressful public transport system where you and your travel companions are confined to fixed timetables, a route that isn’t in your control and having to share your journey with complete strangers. You don’t want to be burdened with the stress of getting from place to place which is why hiring a minibus can help make your day as enjoyable as possible. At Maghull Coaches we will arrange a pick-up time that suits you best and our experienced drivers possess the local knowledge required to get you there on time – no need to rush or leave early! 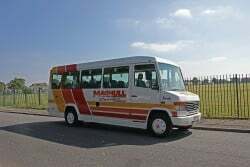 A minibus is both a cost-effective and fuel-efficient way of travelling. Our vehicles can hold up to 29 people and with no individual tickets required, you and your group can split the overall cost amongst yourselves. Forget about organising who will be the designated driver or the hassle of storing your bags, all of that is taken care of for you! Unlike public buses, all our minibuses are equipped with 3-point seatbelts for secured travel and a music/announcement system for an entertaining journey. For a safe, stress-free and enjoyable day out there is only one ultimate transport choice – a minibus hire. What: The Liverpool International Music Festival 2018 will deliver 18 hours of diverse music including pop, urban and house performances. With over 70 artists, there will be a little bit of something for everyone and tickets start at just £5. Confirmed performers include Example, Wiley, Hacienda Classical and Tim Westwood. Located in the iconic Sefton Park, there will also be fun activities for the whole family. What: Celebrate all things LGBT this July at the weekend-long Liverpool Pride weekend. Activities will take place across the city centre while Tithebarn Street will host the main festival. Organisers are keeping their lips sealed about the line-up but Courtney Act is one performer that has been confirmed. The festival is free to attend and will feature live performances, a food market and a pride march. 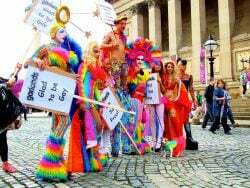 Liverpool Pride’s inaugural event was in 2010 and receives around 75,000 participants each year. What: One of the North West’s most famous festivals is set to invade Cheshire once again this August bank holiday weekend. This four-day festival will play host to some of the biggest names in the EDM world with the confirmed line-up featuring Alesso, Galantis, Hardwell and Martin Garrix. A selection of different ticket bundles are still available for purchase, including multi-day camping packages. What: What better way to end summer than with the spectacular Fusion Festival. Popular artists from the pop scene will be descending on Otterspool Prom, including Shawn Mendes, James Arthur, The Vamps and David Guetta. Admission starts at £52 which will provide access to live performances as well as an extensive range of bars, food traders and fairground rides. Sound like a minibus hire is exactly what you need? Request a quote today and we’ll see how we can help. For more information about what we offer, check out our coach services page or contact a member of our team via phone (0151 922 4284) or email (bookings@maghullcoaches.co.uk). Already booked your trip to a music festival? Feel free to share your pictures and stories to our Facebook page, we would love to see them! Does your dog need looking after while you’re at a festival? Book them into Liverpool doggy daycare.